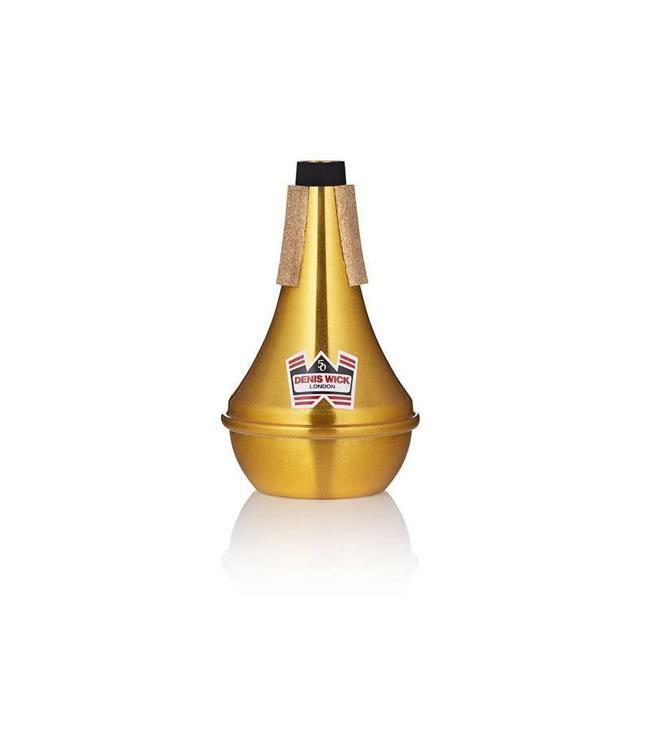 The Denis Wick 50th Anniversary Special Edition Trumpet Straight Mute has been specially designed to celebrate the fifty years since 1968 when Denis Wick brought out his first mutes. This beautiful mute is coloured gold to celebrate the Golden Anniversary and has a sparkling finish to add to the sense of celebration. We have taken a regular DW5504 and have given it a fantastic new look, which will shine on any concert stage. This Special Edition mute will only be available in the Anniversary year of 2018, and is already becoming a sought-after item for collectors, as well as for players seeking a mute with some added bling!